Today, I wanted to share a bit of a personal story. Since last Tuesday, I feel like an awful lot of people have had a lot of things to say. My Facebook feed has been completely taken over by political statements, jokes, and links to opinion pieces. I didn’t want to write another one. I’ve had a very strong reaction to everything that’s been going on, and while I know I live a very privileged and safe life here in California, I couldn’t necessarily pin-point what exactly I was feeling and why. For those of you who don’t know me away from my little corner of the internet, there’s a bit of craziness in my family. And by craziness, I mean, we’re 100+ Afghan immigrants strong, with the exception of a few people (myself and my European-born mother included). Some fairly awful circumstances forced them out of their homeland, and now here they are, some 35 years later, calling California home. When I was younger, no one knew where to find Afghanistan on a map. I would, quite literally, have to point it out to them. This quickly changed, and the world I found myself living in post 9/11 seemed decidedly divided. I stopped conversationally telling people where my family was from— I never knew what their reaction was going to be. As a teenager, my parents protected me from peoples’ more horrendous opinions of who we were. I went from my peers smiling and peering curiously at my naan sandwiches, to absorbing the awkward silences that followed the statement that I was, in fact, Middle Eastern. Last week, as I was dropping my parents off at the airport for a very well-timed vacation, I couldn’t ignore my anxiety. Irrationally, I worried that my father, a Muslim immigrant with an Arabic first name that no one could pronounce, and my mother, a resident alien since the 80’s, might not be able to get back home. I even joked about this with my coworkers in an attempt to mask a deep-seated fear. As they say, some things are only humorous because they point out evident truths: “It’s funny because it’s true!” I laughed because it was better than crying over something that felt like a very real possibility. I still couldn’t forget my father’s hushed tones on the phone late Tuesday night: “We are citizens. This is our home. He can’t legally keep us out.” Like so many people, I’m worried for my family, for those who didn’t speak English very well, dressed differently, and didn’t assimilate like they were “supposed” to. As I drove up to SFO’s international terminal, my parents and I debriefed their travel plans. I wanted to know when they had arrived safely, and asked them silly things like why their luggage was so heavy. My dad is always unabashedly himself, to a fault. He never hesitates to crack jokes, even in tense moments or situations. 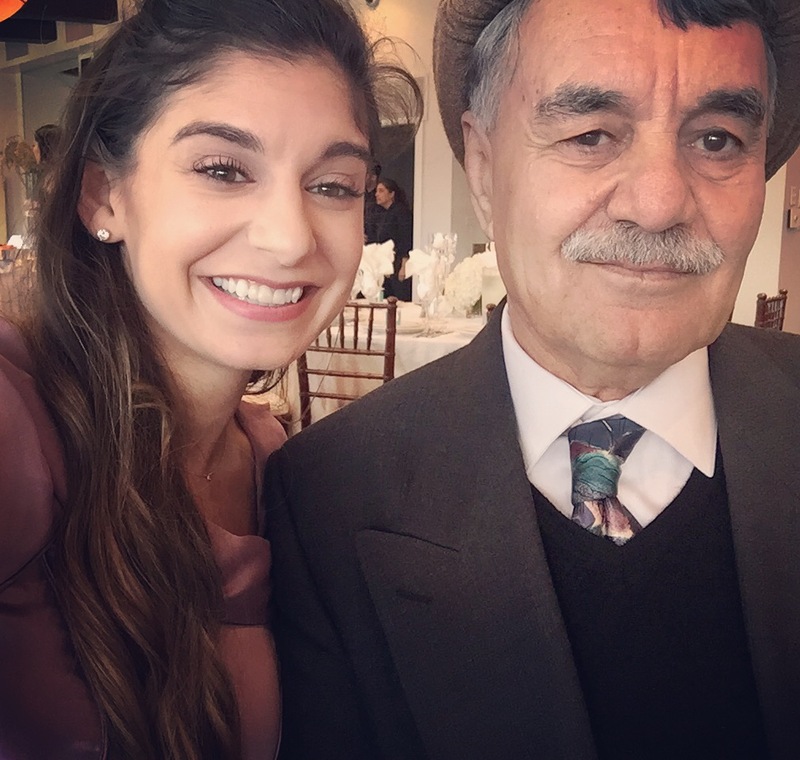 With all his stories and personality, my friends recently remarked that he reminded them of the Dos Equis “Most Interesting Man in the World.” Those who know my dad know his unwavering character and quirks. There are few things you’ll find him without. He’s always up to date on current events. He always has some sort of hard candy in his pockets, and he always wears his hat, a decidedly Afghan pakol— inside, outside, rain or shine. When my dad got out of the car on Wednesday, he was missing his hat. I didn’t think very much of it, at first, and he reassured me that he had packed it away safely in his carry on luggage. He suddenly looked smaller, not like himself. I tried to think not much of it when I spotted the book in his hands, written in Dari, on the history of Afghanistan in the 19th century. I also tried not to think too much of it when I took it from him, and packed that away too, like it was a matter of convenience, like I wasn’t nervous that people would see it. It was just a hat, it’s just a book. Just like a hijab is just a square of fabric. Something that’s, in actuality, just a square of fabric can’t be entirely responsible for starting a worldwide backlash against immigrants. Today, I couldn’t help thinking of my dad without being deeply sad. He’s come thousands of miles, avoided several wars, and relocated his entire family. To this day, he still helps Afghan immigrants get settled in the United States. The people who are worried about their economy, about unknown “outsiders” coming in and threatening their sense of well-being don’t know people like my dad or my mom. Just as we don’t know them. That’s the fundamental disparity here. I certainly try to. I try to think about a place where people are so frightened of losing their jobs or not being able to provide for their families as the main motivation to look the other way when someone in power actively abuses women, minorities, and people in the LGBTQ community. The sad thing here is that so many people have come to this country to escape similar economic climates and discrimination going on in their own countries. We all fundamentally want the same things in life. But now, all I can focus on is my dad’s favorite hat, and the day he felt it might be unwise to wear it. It’s just a hat, but to me it represented a fact that I’ve known all along: that it’s no longer acceptable to unapologetically be who you are. Ironically enough, I had recently been working on a post on about not apologizing for yourself (“I Ain’t Sorry”), and now, all I want to do is apologize for people. I want to apologize to everyone who’s felt marginalized or hurt by the changes in the country over the last few weeks, regardless of your personal politics. I want to apologize for the grief some people have been experiencing. I want to apologize to those people who have experienced enough fear that it shapes who they are and how they interact with others. I’m sorry, everyone. To me, it might not be just a hat, but I’m hoping that one day that’s all it will be. Tagged family, lifestyle, opinions, politics? I know people get asked this a lot. I have a love hate relationship with this question, for lack of a better expression. The “love,” although I use this term loosely, comes from the fact that I find myself asking this same thing quite often. I also somewhat resent being on the receiving end of it. It’s not so much the question itself I have a problem with, it’s the context in which it’s being asked. It’s the nature of the answer that people want that bothers me. With the exception of Karen from Mean Girls, very few people will walk up to you and ask your ethnicity outright. So they choose something like “Where are you from?” instead. Once, in Las Vegas, I answered this question truthfully: “I’m from San Francisco…you know, the Bay Area.” Only to get a “No. I mean where are you from? Are you Latina or something?” I’m happy to share my stories with people, but when strangers approach me with this as their opening line, it still takes me aback. I wouldn’t walk up to you and say things like “Hey! What are you genetics like? You have some really hyper-extended knees!” It’s a weirdly personal question. It bothered me even more, as a child, seeing my parents get subjected to similar treatment. My father likes to be stubborn, and insists he’s from “here.” Right here, California. It makes people uncomfortable, because it doesn’t get them the answer they’re looking for. Especially in today’s political climate, no one wants to approach a Middle Eastern looking man and directly ask him what his “deal” is. “Excuse me, sir, what war-torn country are you from and how did you get all the way over here?” wouldn’t go over well, I imagine. Then, people get an eyeful of my mother, who they then confuse as Australian, instead of Austrian, and then want to know everything. Of course, how they met is quite a story, but I don’t always feel compelled to tell it. Don’t get me wrong, I very much appreciate and enjoy the uniqueness of who I am. I just don’t always feel like being gawked at like a zoo animal. (I know I’m not the only one. Please see #4 and #10 on this Buzzfeed list on “21 Feeling All Mixed-Race Kids Know.”) Someone actually referred to me as a “half-breed” once. My response to that is that at least I’m not a whole idiot, thank you very much. This isn’t the first time I’ve shared a bit of what it’s like being me. For a little background, you can check out my previous post on growing up multi-lingual here. Sure, 99 percent of the time I feel tremendously lucky; there’s never a dull moment and I always have a story or two to tell. I appreciate your curiosity, but sometimes, it just best to let people share with you, at their own pace. In the meantime, please find a better question to fill the silence. Image c/o all the Instagram accounts ever. 1. I got a parking ticket. Your welcome for my generous contribution, City of Oakland. I can’t believe you wrote me a ticket for parking in a dirt patch that’s designated for “cleaning.” Ah, irony. 2. I chatted with my neighbor! I’m getting to know my neighbor across the hall, and it’s genuinely nice. 3. I learned about IRA’s. Yikes. That’s scary sounding stuff, right? But, I’m down for anything that’s considered an investment and makes the IRS not mad at me. 4. I bought work supplies. And, seeing as my work involves a lot of jumping around, “supplies” pretty much consists of ibuprofen and/or ice. 5. I went to bed at a decent hour! Those of you who work long or odd hours perhaps know how challenging this can be. I find myself dawdling around my apartment listening to horrible trap music all too often on a Wednesday night. Yes, this is totally embarrassing, but I know I can’t be the only one that does it…! 6. I corrected my text grammar. I’m not really that proud of this one. It’s really hard to try to impress someone when you need to send a follow-up text with an “Oops! *yours.” Because who the hell thinks there is a word spelled your’s?! Mortifying. Come to think of it, I could probably lump this into the “Non-Adult Behavior” category. I blame allergies for the stupidity. 7. I put my foot down. This one actually seems like it doesn’t belong on this list at first, but I think it’s important to have boundaries. Because sometimes all you really want (and need to do) on a Friday night is sit at home and do whatever it is that floats your boat. Like watch re-runs and make cookies. 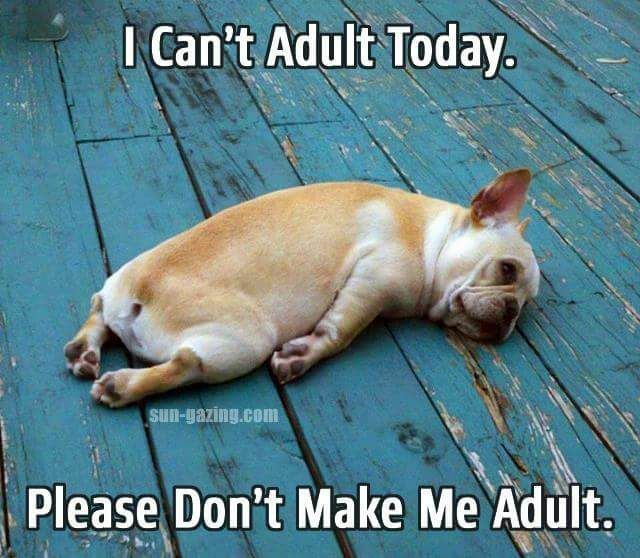 Am adult! 9. I catch up on NPR headlines on my commute. I know, you’re probably thinking “Dear God, that sounds dull,” commuting and depressing news? But, NPR truly has something to pique everyone’s interests. Remember how NPR’s Serial podcast was all anyone could talk about for a while? There’s some fascinating stuff there. 10. I met with my accountant, got my taxes done, and didn’t cry! I was actually relieved when I left his office. I swear, as a person who has numbers-induced anxiety, accountants are a gift to humanity. It’s like magic, you give them a pile of receipts and they give you complete tax forms. Next time, I’ll probably slap together a contrasting list of the 382 “Non-adult” things I’ve done lately. For everyone one thing on the above list, I have at least 10 ridiculous things to counteract them. After all, you’re only as young as you feel! How’s that daylight savings time treating you? I must say, my day was off to a rough start, but so worth the extra hour of sunshine in the evening. I joked that I was, what a friend of mine would call, “baby tired.” You know, the kind of tired that leaves you on the verge of tears for absolutely no reason? It’s often easily cured by a nap and a cup of tea in a quiet room. While I didn’t have time for either of these, in the meantime, I’m doing s rather undignified: I’m typing this on my iPhone. That’s right, ladies and gentlemen, I’m feeling less and less like a proper writer, but the words are coming nonetheless. My dear computer’s power cable decided to crap out on me, for lack of a better expression. But, on the bright side, I can now lay down and type simultaneously. Always a silver lining. Today, I wanted to write about a phrase I hear all too often. I still don’t entirely know what it means, to be honest. As an incredibly smooth segue, here, behold my sad desk lunch! When I left my last office job, the woman who conducted my exit interview cited my primary reason for leaving as “work-life balance.” What in the hell is that supposed to mean?! I felt a little bit affronted, but it was, in some ways an accurate description. I’ll confess that a more accurate assessment would have been that I felt my soul slowly being crushed working in a cubicle at 6am every morning and that my boss wouldn’t stop spitting his chewing tobacco in my trashcan. That would make anyone run screaming, to be quite honest. I know that what I chose to do with my life is less than average. Some people think I’m quite nuts to place the large emphasis that I do on teaching ballet, and they’re very much entitled to their opinions. It certainly doesn’t change mine. Sure, I don’t have all of the career perks that most people do. There is no HR department for me to call, and I certainly don’t have someone handling all of my taxes, retirement, and insurance. It’s perhaps easier if you do, but I quickly found out that I could do all those things all by myself. Working independently doing something you love can give you so much more freedom, both literally and figuratively. What’s funny is when you can’t really discern between your “work life” and, well your “life-life.” What happens when what you used to do for fun suddenly becomes your job? Not only is it a shift in perspective, but how do you find a balance when you can’t seem to figure out when one ends and the other begins? People tell us that this is inherently unhealthy, that it is something that needs to be fixed, but could it also be a concept that we’re just hiding behind? As you climb the proverbial ladder of your chosen field, isn’t it natural that you take and more and more responsibilities? I look at so many of the women I know who’ve worked their way to the top, some of whom even own their own businesses. Their jobs are a huge part of their lives (not to say that they don’t have lives away from work), and I don’t see anyone throwing the “work/life balance” thing in their direction. Quite the opposite, it’s mostly praise. Is the seemingly unattainable work/life balance simply a polite way out of an unpleasant work situation, or is there more to it? Perhaps it only exists if you want it to- like some weird career Easter Bunny? I know I certainly don’t have the answers, but I think that everyone has experienced this, in one way or another. Just like we’ve all been this gif, at one time or another. So, dear readers, what do you think? Today, I thought I would put together a little list. As you can gather from the title, I’ve taken some time to chronicle some of the things I, or some of my fellow 20-somethings have heard that just makes our collective blood boil. Admittedly, this is entirely from a female perspective, seeing as I am one. But, spoiler alert: contrary to popular belief, not every 20-something is consistently drunk/unemployed/tweeting. I came to this lovely conclusion after doing a bit too much research on the internet. And by internet, I mean reading horrible lists on Buzzfeed. Why don’t you have a boyfriend/why are you still single? Any derivative of this. Just don’t. You’re going out again this weekend? SO….what is it you do again? What ever happened to that guy…? You know…the last one? When I was your age, I was married with my second child on the way! You’re going to regret that tattoo when you get older. Well, you could always do fertility treatments in the future! Will you be needing a plus one? You’ll have to be careful with all those margaritas, you know, when you get older. 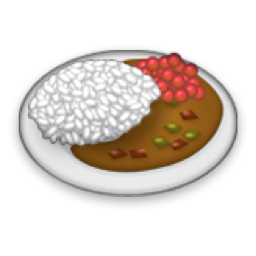 Wow…you going to eat all that? You planning on settling down anytime soon? You know, your metabolism slows way down as you get older. You really shouldn’t compromise comfort for style. Those stilettos aren’t good for your alignment. Wow…you can afford to live on your own? Look at you! Living in your Lululemon! Just wait ’til you’re thirty! A little note from my dear friend Brooke surprised me in the mail this week! I hope everyone is having a good day thus far. Meanwhile, my day isn’t even half gone, and I’ve already experienced what I would deem as 800 kinds of ridiculous. I woke to the sound of the local high school band practicing what sounded like taiko drums in the street outside of my house. About an hour later, add in the sound of a weed-whacker and you have an idyllic morning. I later figured I would do a few things around the house, and, to my horror, discovered the largest spider I have ever seen in suburbia nesting in my lovely purple shower. Like any girl with good sense, I attempted to hairspray it to death. When this did not work, I panicked and resorted to running about my house like a crazy person. Life is really glamorous sometimes. I digress. Today, I just wanted to take a moment to say Thank you. It’s been almost a year since I first posted on Watch Me Juggle, and it’s been such a wonderful experience. I have about 70 followers, some of whom I know, some of whom I consider my “internet friends.” So, if you’re reading this: thank you. My blog started out as something fun and indulgent, and I frankly didn’t expect many people to take interest in it (aside from my mother- Hi mom!). I can’t believe all the positive feedback I’ve gotten. So many of you have been so supportive and kind, I really couldn’t ask for better. Thank you for encouraging me to write, and for supporting all of my crazy dreams. My little corner of the internet wouldn’t be the same without you. Happy Monday! 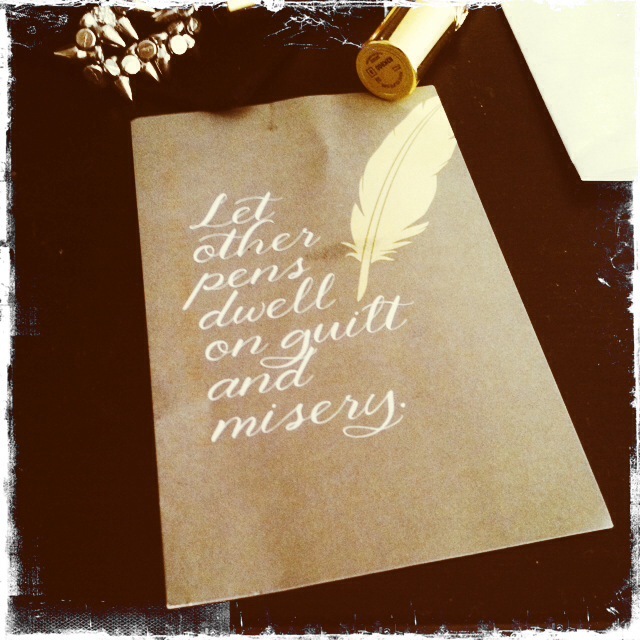 Today’s post was inspired by my new blogger-crush The Other Juliet. She’s my latest blog-spiration, and new internet friend, in that weird way where you feel as if you know someone entirely, but they know nothing about you. Oh, internet. I so adore her commentary on life as a 20-something: Leggings are not pants, Don’t buy me sushi, and the infamous Secret single behavior. It’s the strange little things in life that make us feel oddly connected. That and all the amazing GIFs. 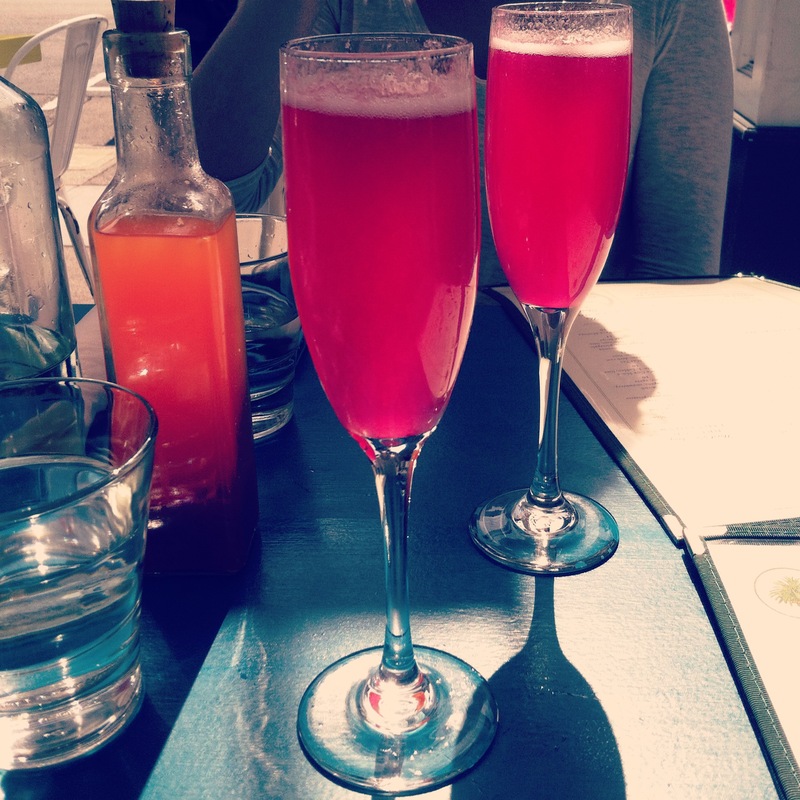 Palm House, SF & their prickly pear mimosas. My new favorite place. //Sorry, I’m not sorry that I go to brunch on a regular basis. And by brunch, I mean mimosas + french fries at noon. //Sorry, I’m not sorry for drinking lattes at any hour of the day. //Sorry, I’m not sorry for having 800 different soaps in my bathroom. I like my choices. //Sorry, I’m not sorry that I can cram a whole cheeseburger in my mouth in under 3 minutes. // Sorry, I’m not sorry for spending what little disposable income I have on shoes/Lululemon. //Sorry, I’m not sorry for the amount of dry shampoo I use in my hair. You don’t even want to know. //Sorry, I’m not sorry I fall down all the time. Yes, I’m a dancer. Yes, the floor should be clear of all obstacles. It’s totally your fault. //Sorry, I’m not sorry that my car is basically a closet on wheels. Yeah…you never know when you’re going to need a pair of emergency high heels. It’s happened before! Now I can be instantly glamorous on a moments notice. Despite what I initially stated on Monday’s post, yesterday was, in fact, the first day of Autumn. Whoops! Either way, things have been continuing the same as always, and it’s still absurdly warm here in the Bay Area. So, while cooking alive in my little apartment despite having all my fans going, I give you: Five Things. This past Saturday was our school’s annual trip to San Francisco for the newest pointe students. This is a huge rite of passage, and often something a dancer remembers for the rest of her life. I was so glad to be a part of it this year. I was feeling creative and snagged a fun picture of everyone on the escalator. 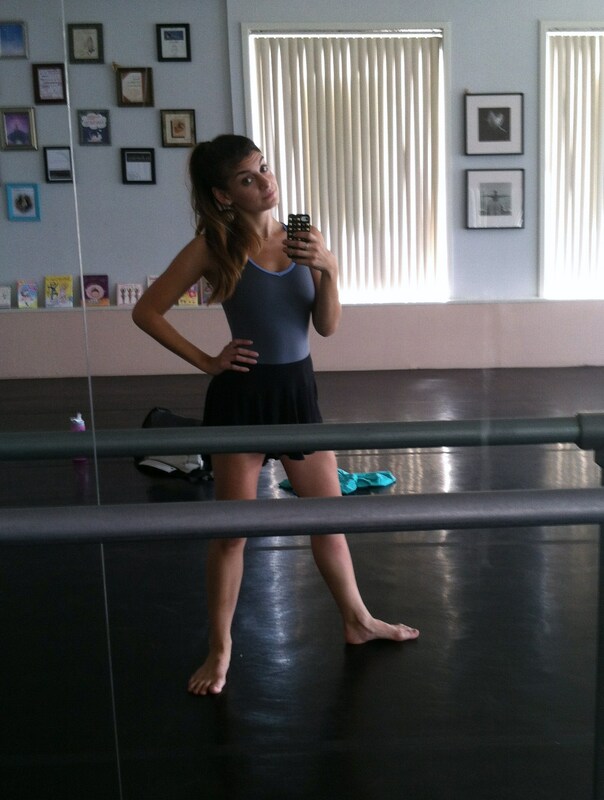 My dance outfit of the day, also a workplace selfie. I’m sporting my newest Sonoya style Yumiko leotard. It’s wonderfully comfortable, and a fabulous replacement for one I lost earlier this month. Please ignore my frightening dancer feet. A beautiful little piece of graffiti art found on last week’s hike. The view while sitting in this decorated bench was just as lovely, if not more so. 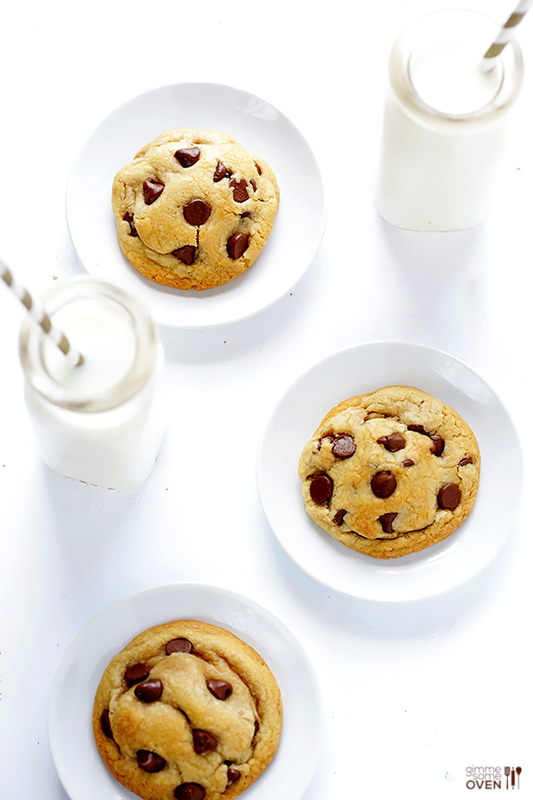 I recently made these coconut oil chocolate chip cookies from food blogger Ali Ebright at Gimme Some Oven. Despite the lack of butter, they were utterly amazing! You can find the recipe here. The coconut oil added some fantastic flavor, and I don’t feel badly about eating more than one…or two…or five, whatever! UN Goodwill Ambassador for UN Women Emma Watson is so genuine and eloquent in her speech advocating for gender equality. You absolutely need to watch this. It’s my honest belief that many people don’t, in fact, understand the true meaning of the term ‘feminist.’ It’s uncomplicated, and fundamentally a human rights issue, above all else. Today, I wanted to share a bit of wisdom that has been imparted on me recently by the boss lady. Imagine that you and your significant other are at a restaurant. You order your meals, and wait in anticipation. Then, the moment comes when your plates are set down in front of you. You look at your beautiful plate and begin to think: would anyone else like a taste? Maybe this needs more salt? Perhaps you should have ordered something else? Oh, wait! The table across from you has some delicious looking thing on theirs. Maybe you should have ordered that? This portion is huge, so maybe you’ll take some of it home? And your date, does he like his food? Does he mind if you pick off of his plate? Maybe you’re gluten intolerant like your friend suggested? Maybe you should eat less protein and more carbs? That’s a thing, right? Etc, etc, etc. Meanwhile, you look over at your partner, and all you can see is the top of his head. He’s too engrossed in his full plate to notice anything else. Granted, he may come up for air to give you the “my plate is too full” eyes, but that’s all you’re going to get from him. That’s it. Until he finishes eating, he will be completely engrossed in it. The same goes for life. At times, his life will present him with one big plate of food, and he will be unable to handle or comprehend all the things you think about or want. It’s perhaps a silly analogy, but it’s more true than anything else I’ve heard lately. So, when you’re thinking he’s being an insensitive jerk for not returning your text or call in a timely manner, or can’t seem to find a balance between work and leisure, never fear. Try not to take it personally, because it’s not you. You, after all, can do and think all the things at once without having a complete meltdown. It’s his damn plate.